Based in Nice, the Atelier Baraness + Cawker faces the Mediterranean. The studio bathes in its evocative and vital light. Marc Baraness, architect DPLG, and Ruth Cawker, architect OAA, are attuned to this place, drawing inspiration from the Mediterranean way of life to create architecture and gardens that reflect their contexts as they enhance the life style of their owners. Technological innovations are at the service of daily life, intuitive and discrete. 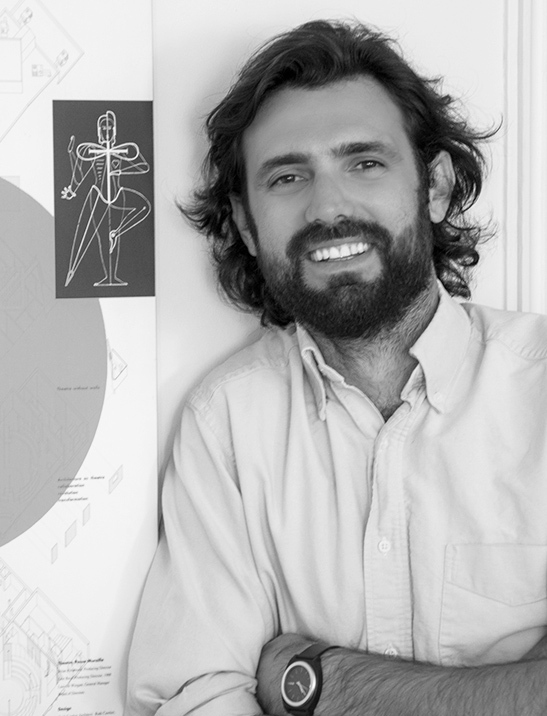 Marc Baraness : I always wanted to be an architect; I started drawing houses when I was 10. But what sealed my fate was moving to a modern building, the Aero Habitat in Algiers, which was built by the company where my mother worked. Living in such a radically modern building made such an important impression on me that I looked up the building in the 1980’s in Paris and invited him to lunch. By that time, I had completed my architecture degree at the Ecole des Beaux Arts. Ruth Cawker : My parents were avid fans of modern architecture in Canada, and my mother and I redesigned the garage of our house to create an extra bedroom room large enough to house a piano, a small chemistry lab and a polar bear skin that had been brought from the far North. As children, we spent holidays visiting modern architecture, particularly in California and Arizona. It seemed natural to become an architect, even if at the time, women occupied a small minority in the field. Your backgrounds were far apart, if somewhat parallel ? 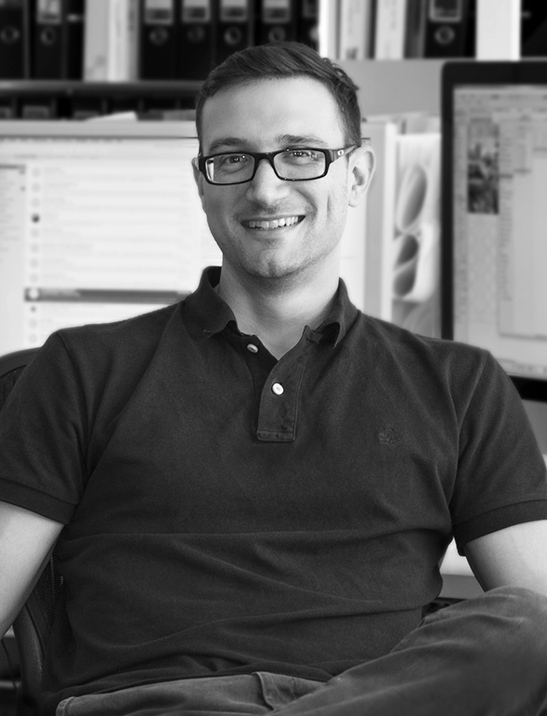 Marc Baraness : I did my degree in Paris before moving to Canada where I worked for twenty years, finally as the Director of the Architecture and Urban Design group of the city of Toronto. 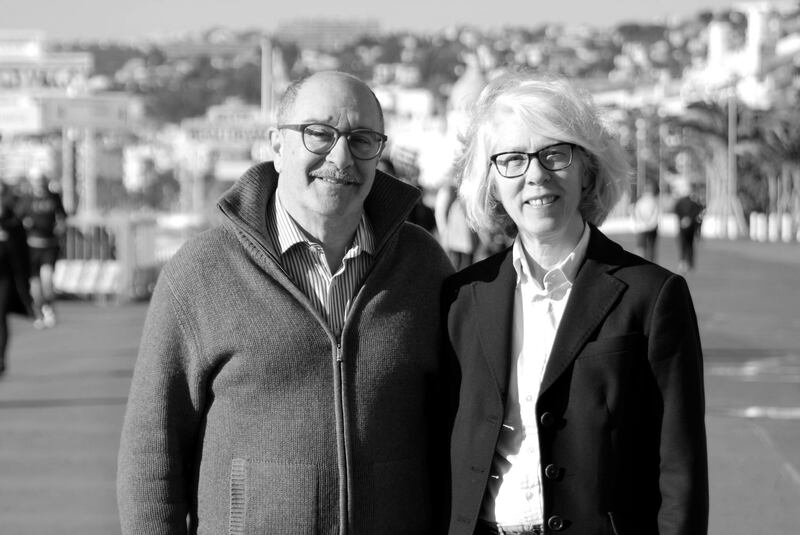 When my team won the competition to redesign the Promenade des Anglais in 1993, Ruth and I decided to make the move to Nice where we opened the Atelier Baraness + Cawker. At the same time, I was offered a tenured position at the Architecture school in Lyon, where I taught for twenty years, commuting between Nice and Lyon. 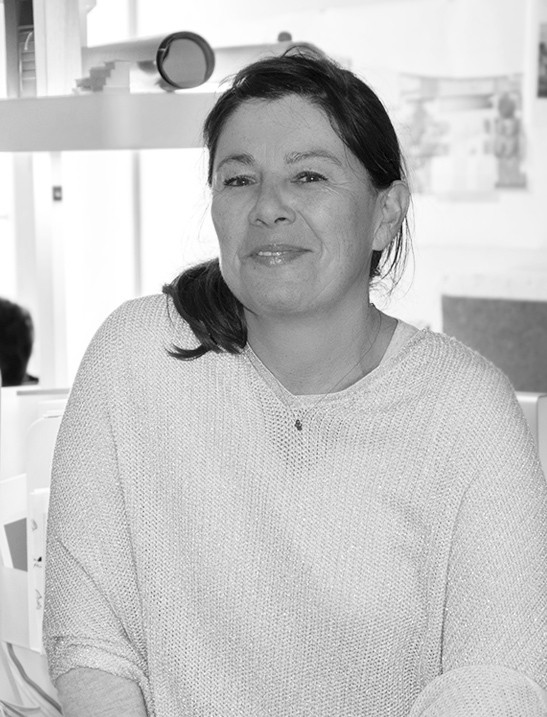 Ruth Cawker : I trained as an architect in Toronto, and then did graduate research at the Ecole d’architecture Paris Belleville. My Canadian practice opened in Toronto in 1986. In Paris I wrote my thesis on the Mediterranean garden in 1995. Marc and I met through the architectural community in Toronto and over the years we spent more and more time enjoying the south of France. What kind of projects have you worked on ? We started our practice when Arlette Decock asked us to come up with a design concept for the boutiques for her company, Chacok. We designed a dozen Chacok boutiques in cities around the world, and also patented the shop-fitting programme for their retail points of sale. Arlette was our first, and our most frequent repeat client; we also worked on her villa. 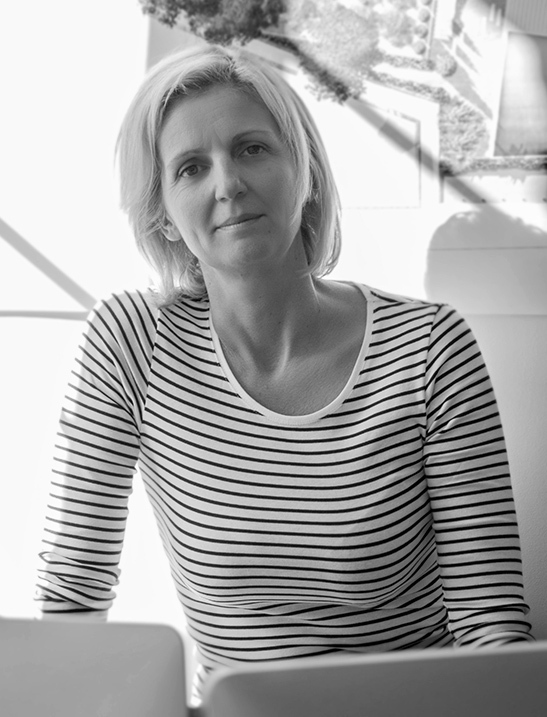 Ruth Cawker : Today we’re designing small developments, as well as villas and public buildings. Also gardens, which we particularly enjoy. But if there is one project that defines the Atelier, it is the design of a 650 m2 house in Ramatuelle, on the Pampelonne beach, which has become something of a landmark and which was a springboard for our current luxury residential work. How does it work with both of you practicing architecture ? Marc Baraness : Ruth is more involved with the management of the practice. She also has organized our materials and technical library, and is everyone’s resource for specification, for technical problem solving when we need to design gardens or bring in new technologies. Ruth Cawker : Marc defines the individual strategy for projects. He keeps a weather eye on French planning laws, and he coordinates the work teams are doing for each project. But the key is communicating every week with the Atelier, listening to feedback from the studio and the field, always drawing on the team’s input to take the project farther. Ruth Cawker : Our own house: it’s the project that we know most intimately and it’s a lab where we have been testing in real time what we specify for clients, from the motorised skylight to the 10 metre long library window ! Marc Baraness : I don’t have any favourites. What I enjoy is the exchange and the confidence that happens with the client when the project completes. Right now I’m immersed in a drawing that’s on my table for a garden in Ramatuelle, for which we renovated the property several years ago. What’s the trade mark of the Atelier Baraness + Cawker ? Marc Baraness : Working on private space, whether it’s a villa or an apartment, reveals what is most individual about people, and this approach always leads to something unexpected. It’s impossible to have a trade mark! On the other hand, our method of structuring the project, and of designing is our own. We are completely involved with each project, starting with a survey to understand the site and what it represents for the context. Several clients have commented that this way of beginning the work is why they chose to work with us. From the earliest stage we focus on how to make the relationship between interior and exterior as compelling as possible. In this part of the world, a covered terrace or a pergola function as integral rooms on the house. 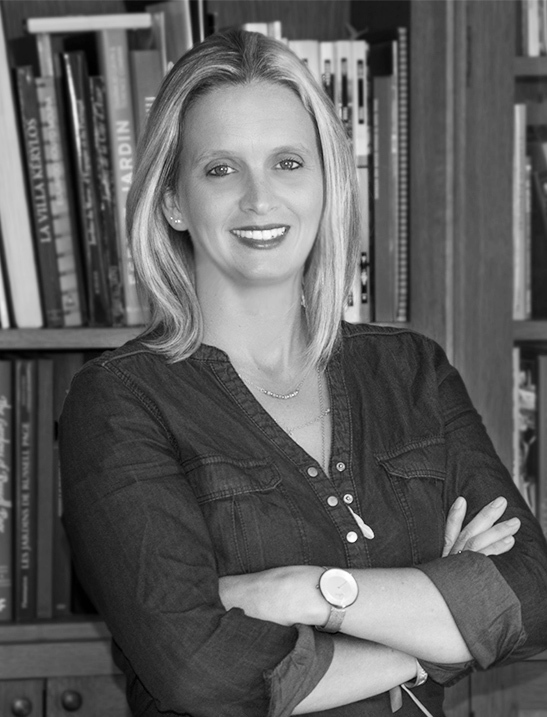 Ruth Cawker : I would only add that we conduct our design research for projects by consulting local craftsmen and trades, for whom we have tremendous respect. I’m always looking for innovative systems and materials that can boost the comfort and ecology of a project - motorised sun shutter systems, mirror TV, ecological retaining tanks for storing storm water. We do a lot of what I call « tectonic research ». A multi-disciplinary team, working directly with Marc Baraness (architect DPLG RIBA) and Ruth Cawker (architect OAA), manages all aspects of the project from exterior to interior. The multi-faceted team approach allows us to make a personal contact from the programming stage up to and including the handover of each architectural project.